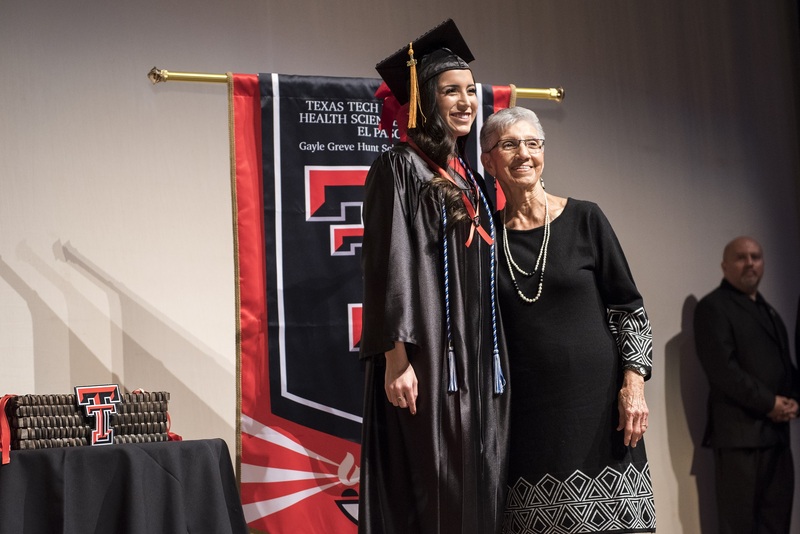 On Saturday, Dec. 17, the Gayle Greve Hunt School of Nursing (GGHSON) recognized its winter 2016 graduates in a traditional commencement and pinning ceremony. A total of 67 future Bachelor of Science in Nursing (B.S.N.) 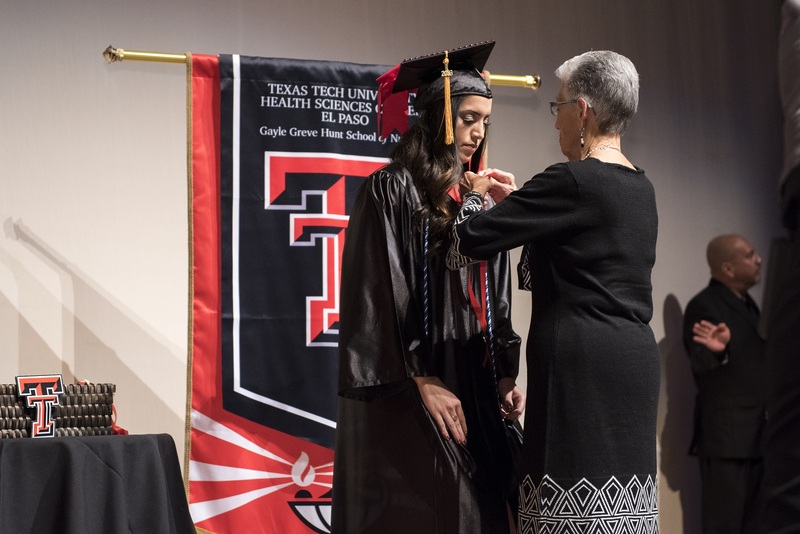 recipients were presented with nursing pins, a symbol of their accomplishment and entry into the nursing profession. The graduates were each pinned by a friend or family member of their choosing. Of the 67 graduates, 47 completed the GGHSON’s Accelerated B.S.N. 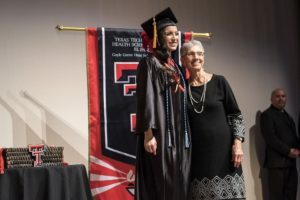 program, and 20 completed the R.N. 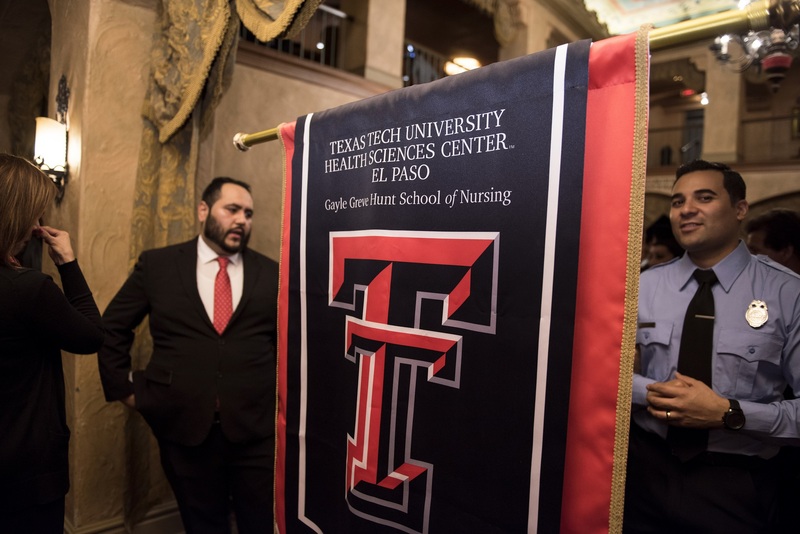 to B.S.N., a track designed for registered nurses looking to advance to leadership roles in the profession. 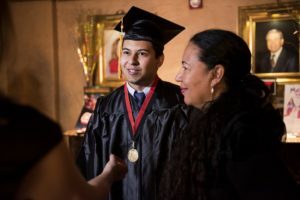 This graduating class represents a spectrum of age groups, with graduates ranging from 21 to 56 years old. 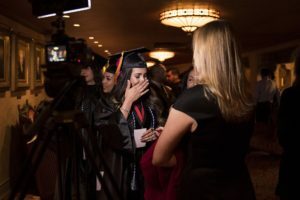 The class is made up of 12 percent men and 88 percent women, and two students are active-duty members of the military. 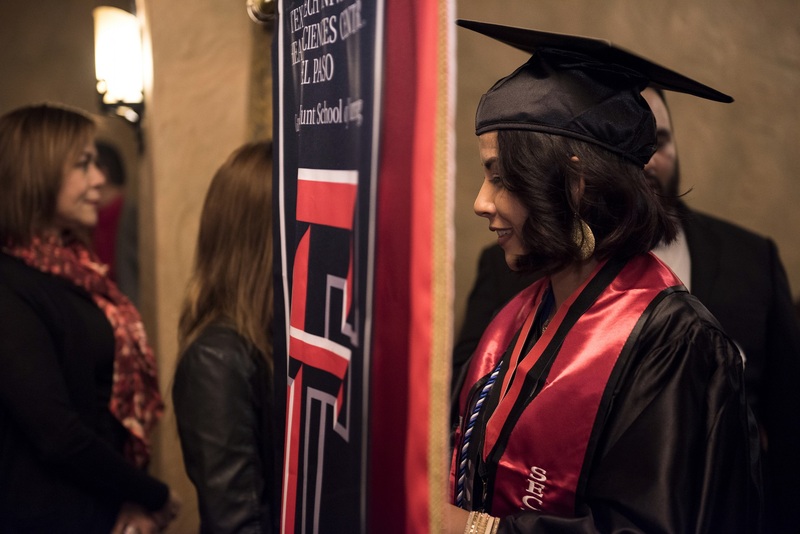 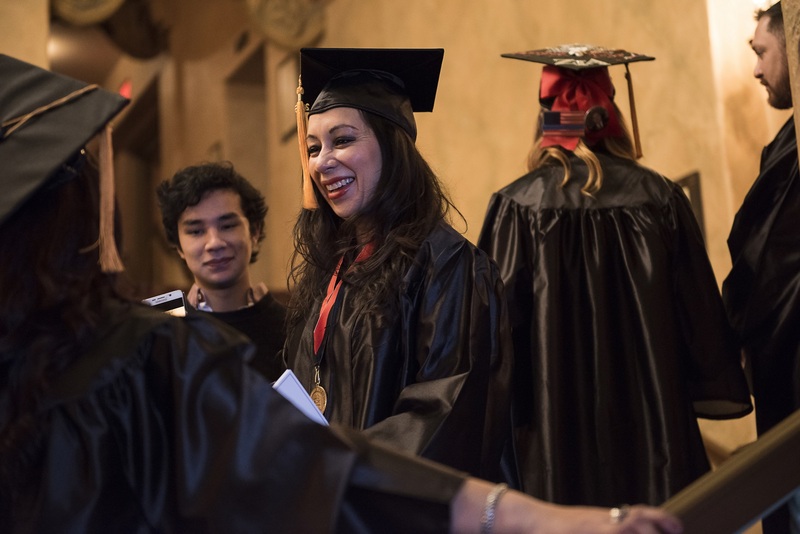 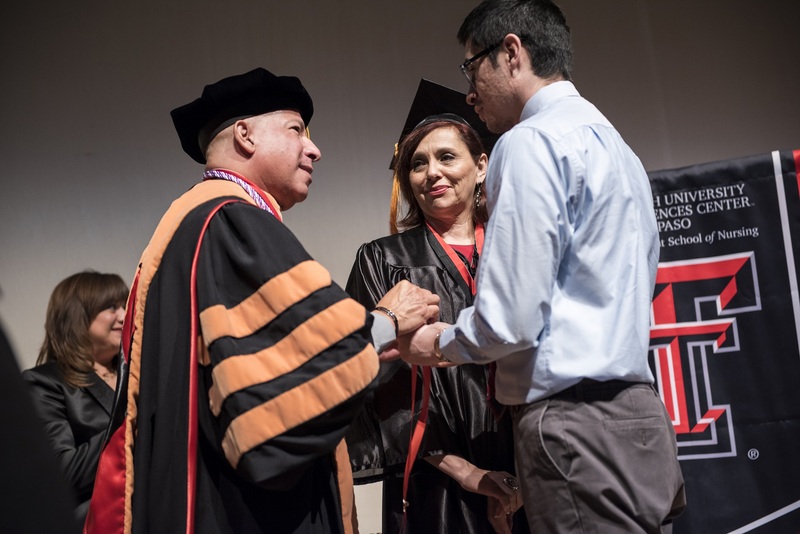 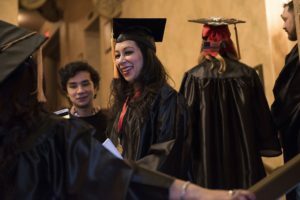 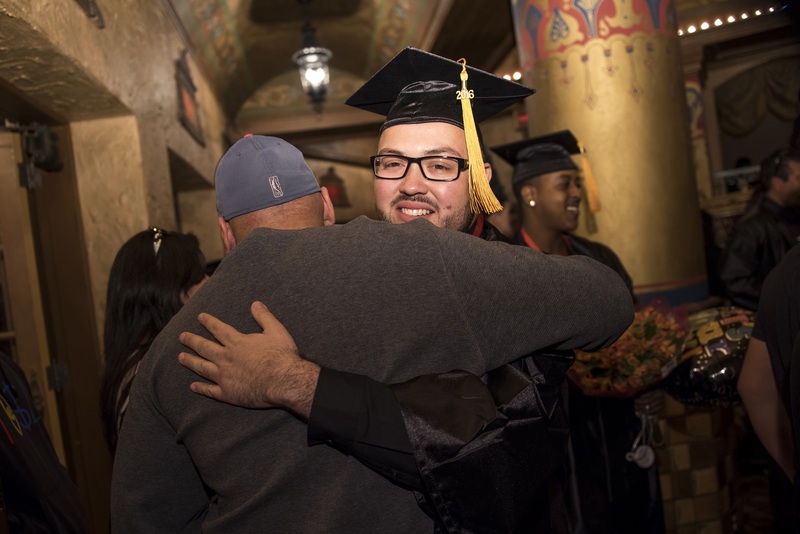 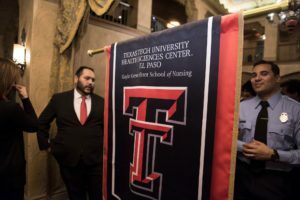 This was the GGHSON’s fifth commencement ceremony since Texas Tech University Health Sciences Center El Paso (TTUHSC El Paso) became a standalone university in 2013. 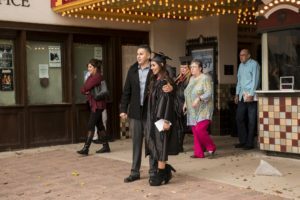 The ceremony took place in the historic Plaza Theatre in downtown El Paso.